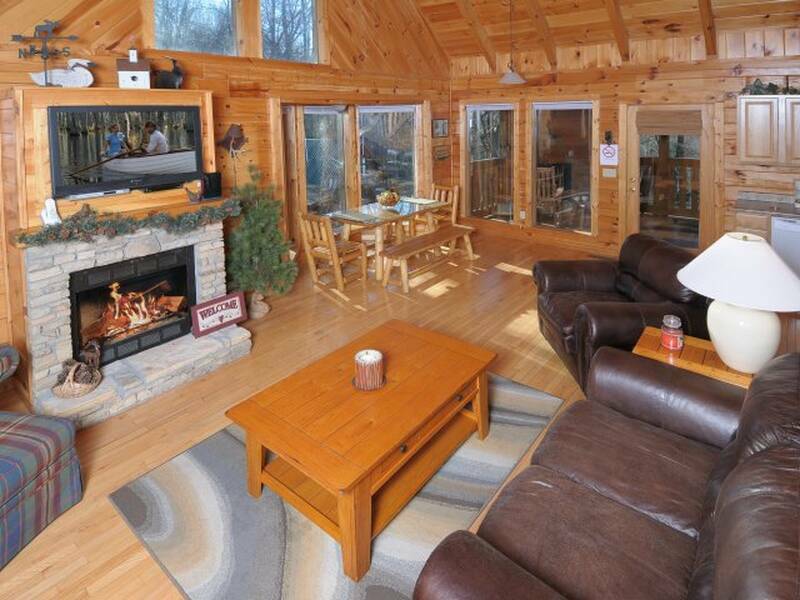 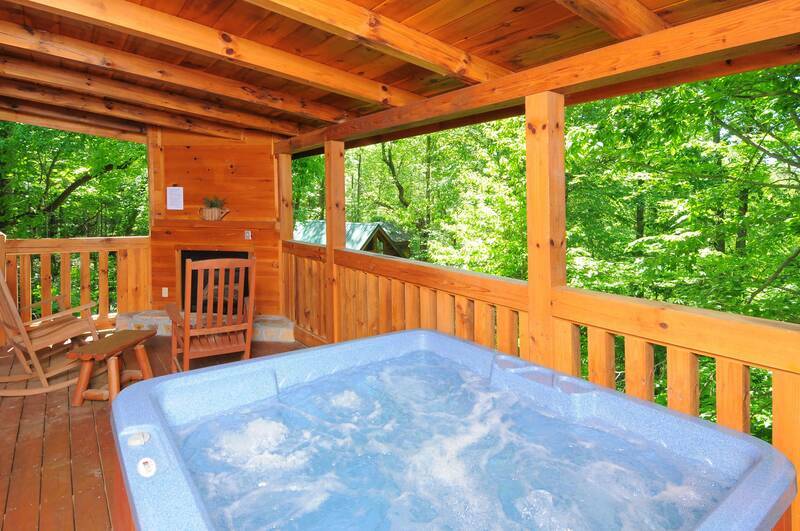 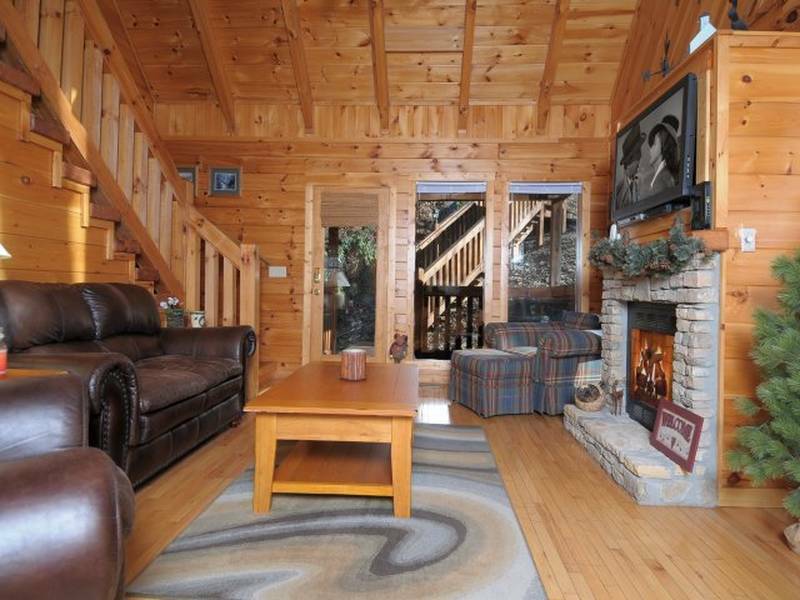 Chasing Moonbeams is a spacious one bedroom Gatlinburg cabin that is suitable for up to 2 people. 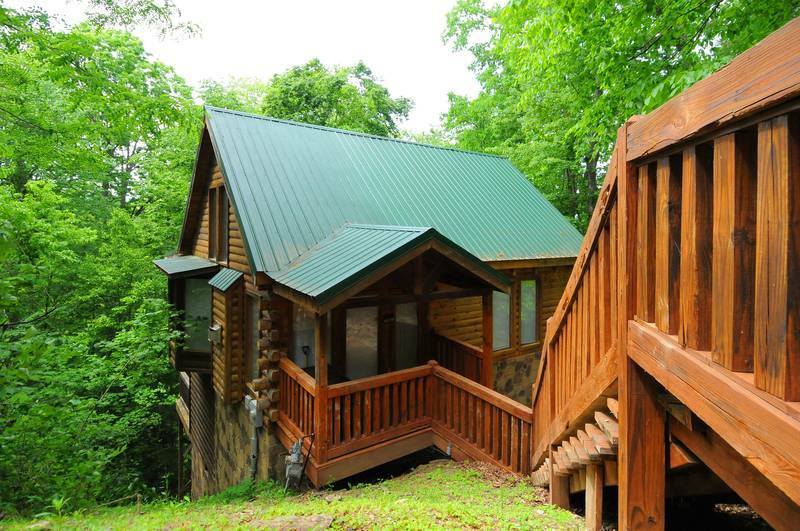 Bring yourself and your friend or family member to enjoy a quiet and relaxing cabin that is located only 1.3 miles from downtown Gatlinburg. 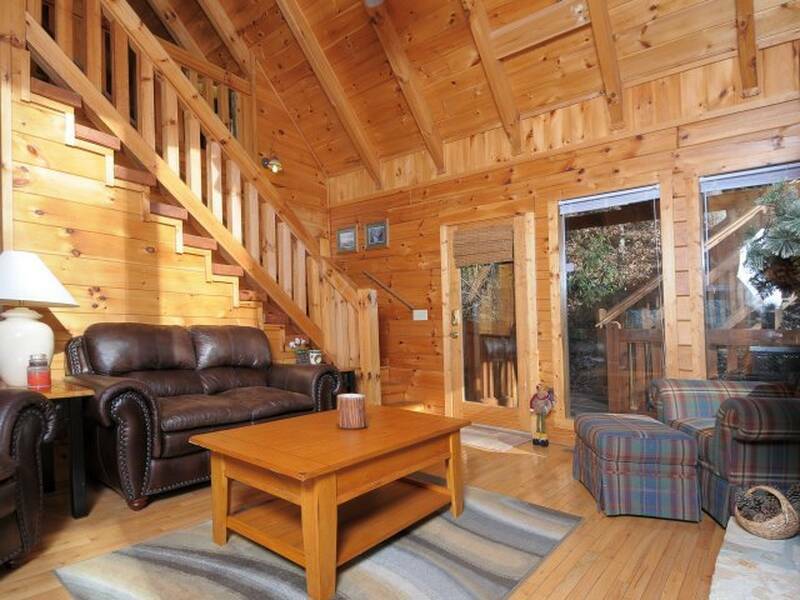 The cabin is decorated with a nice mix of wood and stone that give it a country home feel. 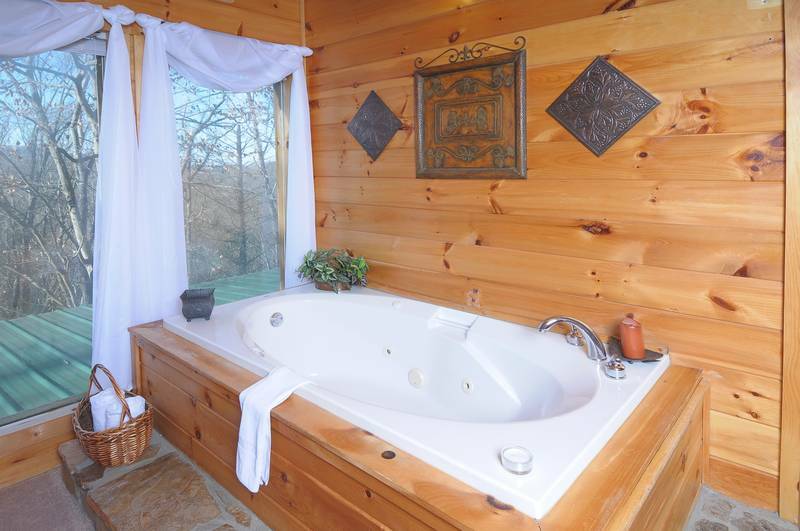 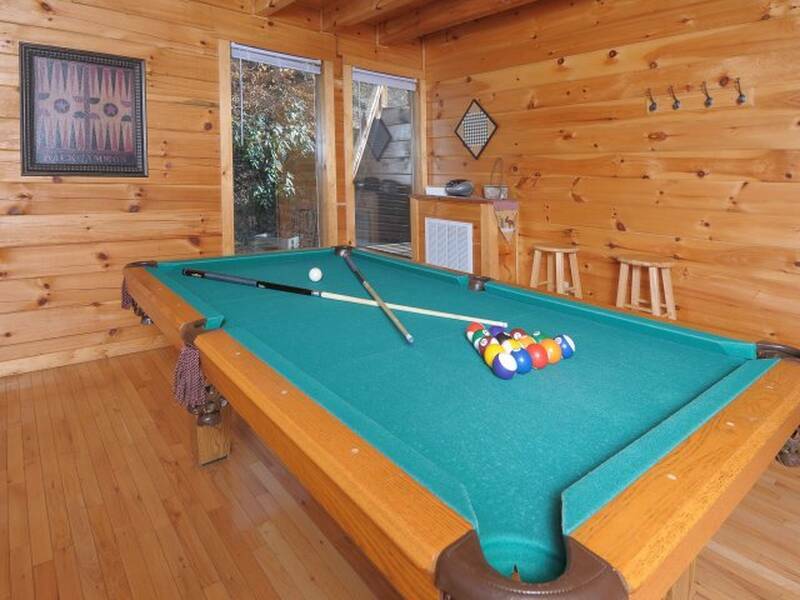 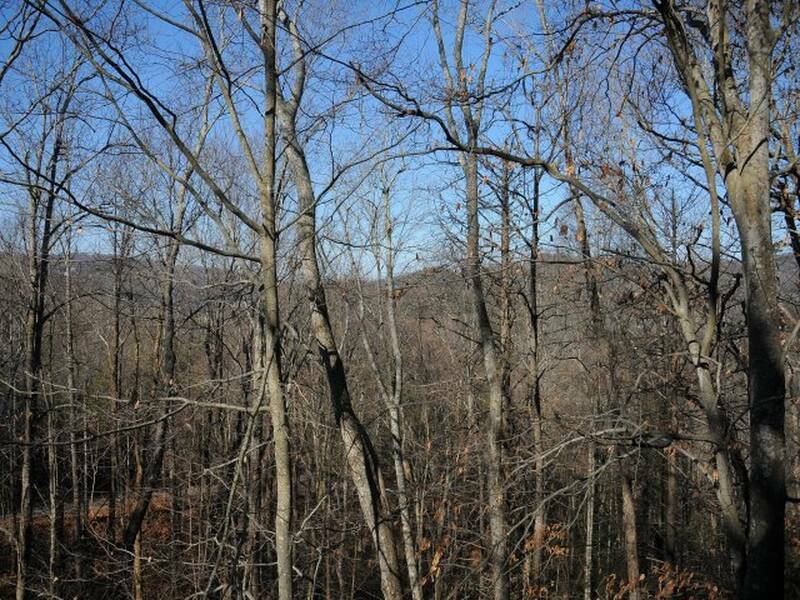 This cabin offers all the amenities you expect in a high quality Gatlinburg rental with heating, A/C, fully equipped kitchen, hot tub, and 2 fireplaces; one inside the cabin and one on the deck. 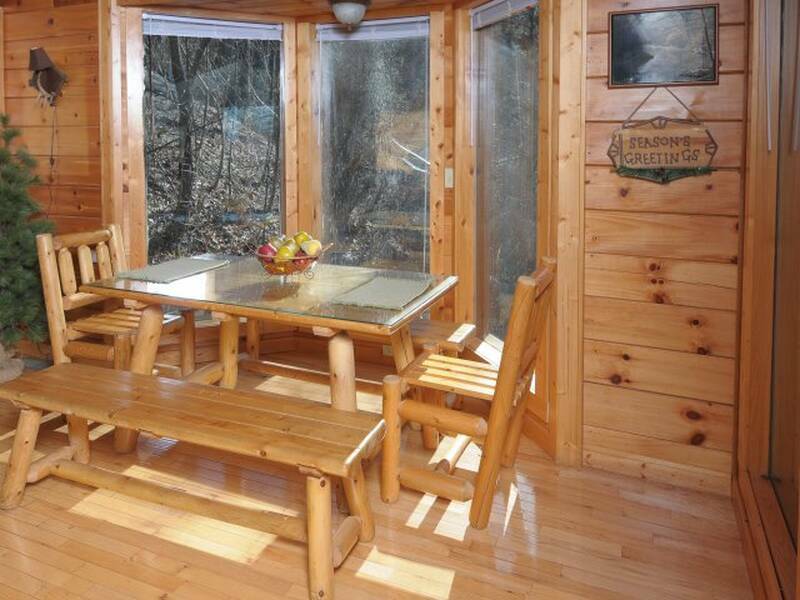 In the cabin, a comforting wood dining table and chairs grace the dining area. 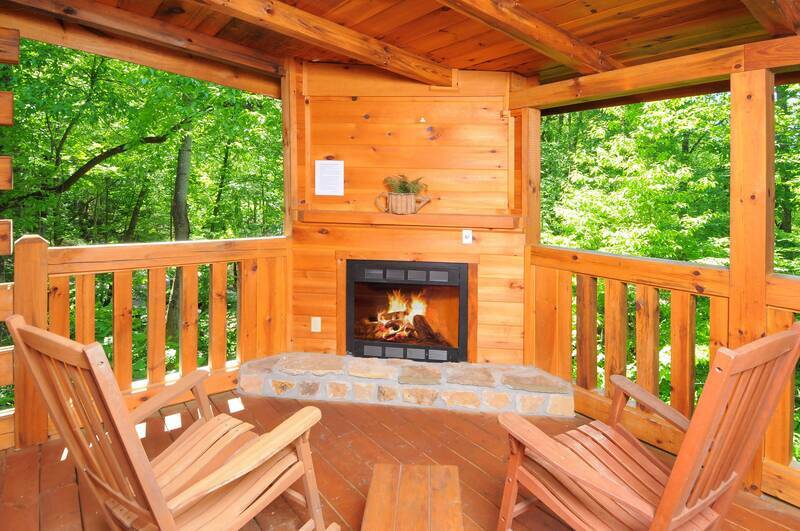 At night, sit around the fireplace on the deck that offers stunning views of nature. 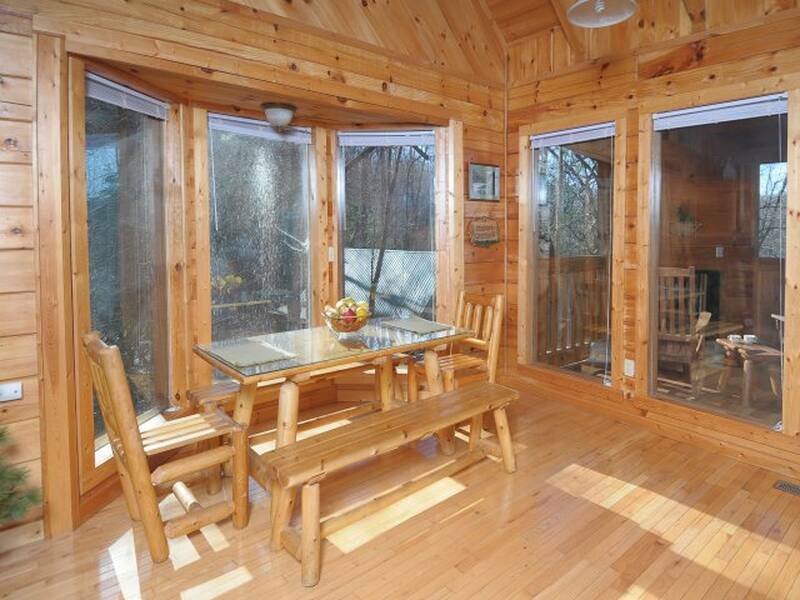 The deck features wooden ceilings, floors, and railings and it overlooks beautiful woods behind the cabin. 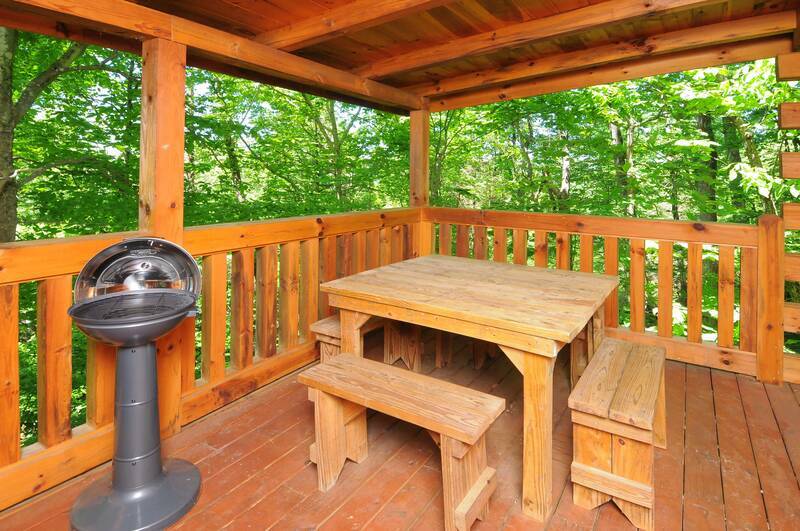 On the deck, wrap yourself in blankets and have a seat on the wooden chairs. 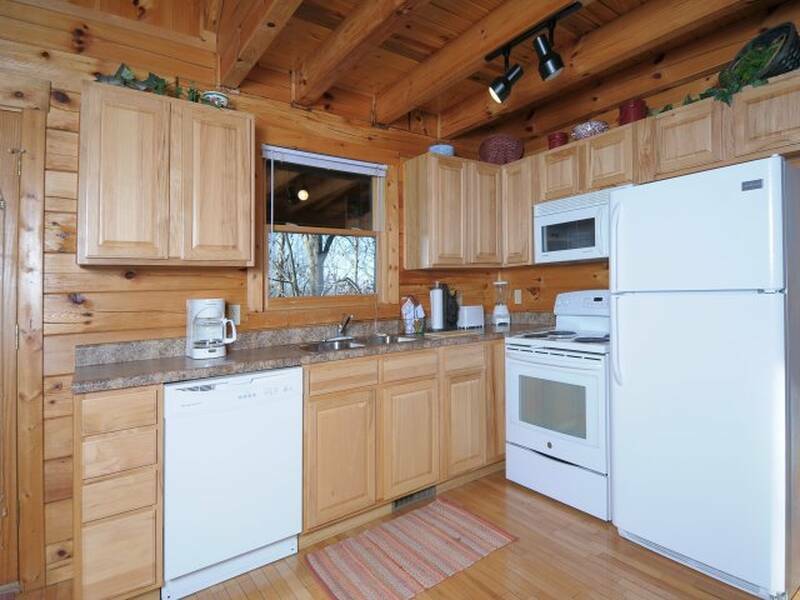 Chat with your family and friends as the sky gets dark. 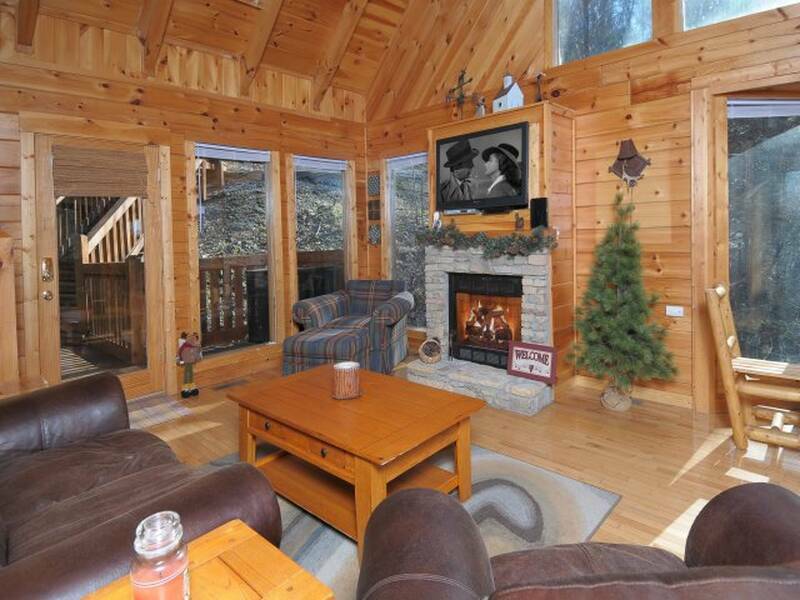 There is nothing more peaceful than sipping warm drinks while gazing at the skies over the Smoky Mountains. 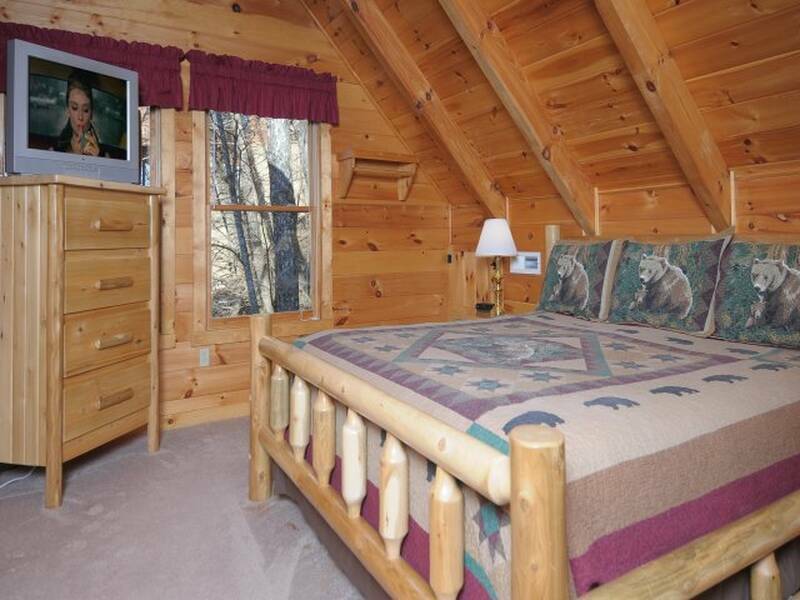 This is one of the best pet-friendly cabins in Gatlinburg, and one of the more affordable cabins in the Smokies! 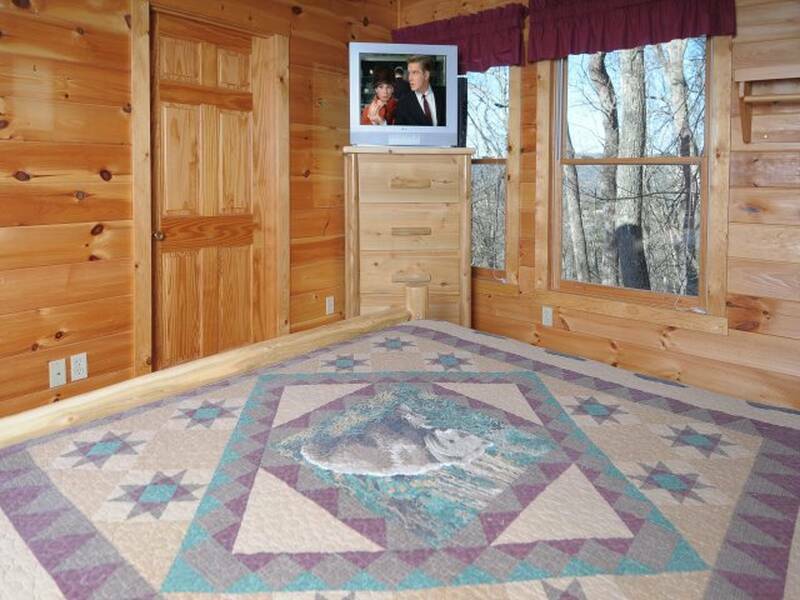 Please read below for additional cabin amenities.